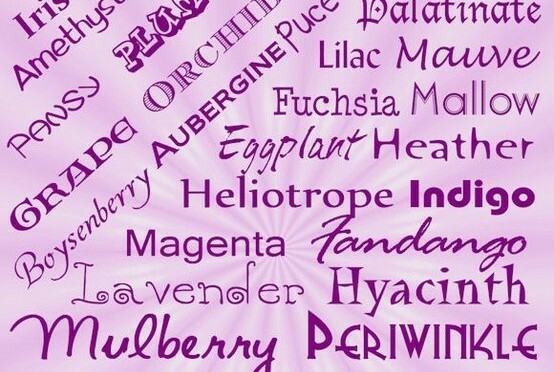 Porphyrophilia – Purple Passion, What about Pink & Blue? 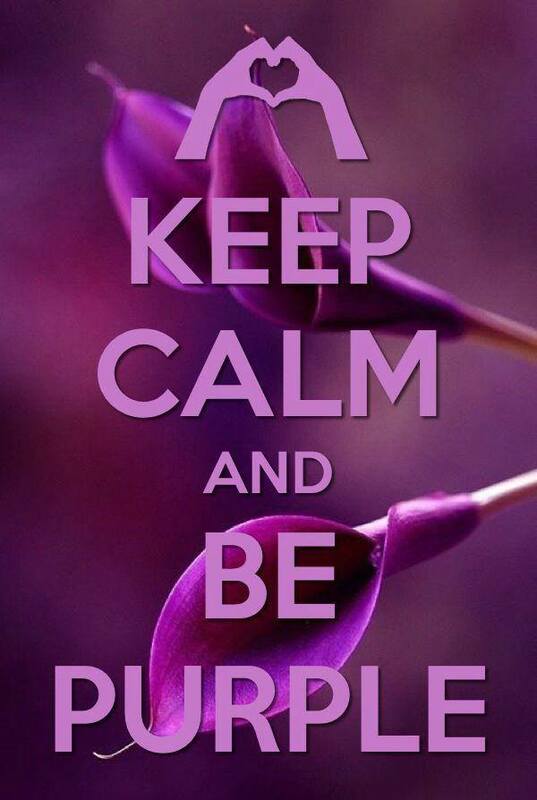 Why purple? I grew up mostly being dressed in navy blue by my mother – it was her favourite colour, yet also was not blue for boys, and I was being raised one? After a school non-uniform day dressed by my mum in stripy tee-shirt resulted in a severe ribbing I was keen to wear mostly black without any Goth pretensions for the next 25 years. It was slimming after all, but at 9 stone that was not the reason. Instead, I feared that if I ever wore colour, particularly anything pink, purple or pastel, I would be outed as feminine or queer. Funny that my father’s favourite shirts were pink! After coming out I went through a whole spectrum of colour, feeling gloriously liberated, I wore browns and golds, pinks and pastels, finally settling on purple as my colour of choice. I love its combination of pink and blue, rich depth and royal roots. I could mix it with turquoise and teal which had become my favourite blues and with hot fuchsia pink which had replaced all the other pink shades in my world. 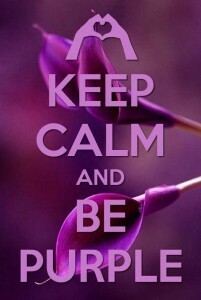 Wearing and carrying purple so much led me being known as “purple Katy”, as opposed to the illustrator Purple Ronnie! My love of purple, and indeed now all colours except perhaps orange and navy blue, led to me organising my Pinterest boards by colour, suiting the arrangement of my colour coded house too. 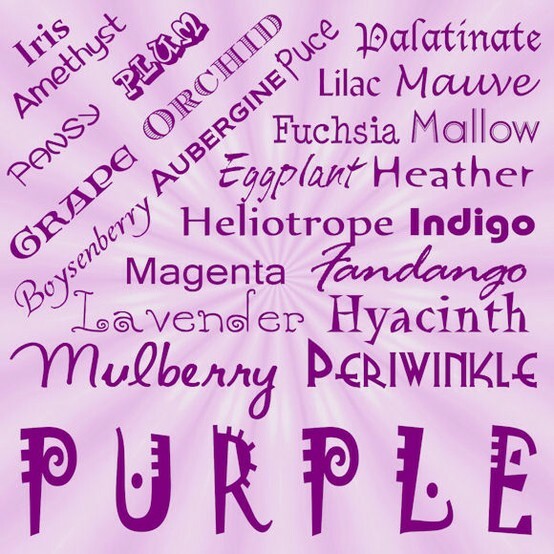 One is, of course, dedicated to Porphyrophiliac purple love. What about Pink & Blue? Historically, pink and blue rather than being gendered as we annoyingly still see them now, were, if anything, reversed. Pink used to be masculine, full blooded, halfway to red. Blue, was effeminate, soft, sky and gentle. Victorian children might be dressed accordingly or wear ribbons in their long hair, pink for boys, blue for girls. Back in the 1900s, the Women’s Journal explained it thus: “That pink being a more decided and stronger colour, is more suitable for the boy, while blue, which is more delicate and dainty, is prettier for the girl.” DressMaker magazine agreed. “The preferred colour to dress young boys in is pink. Blue is reserved for girls as it is considered paler, and the more dainty of the two colours, and pink is thought to be stronger (akin to red).” Even in 1925, in the Great Gatsby novel, a man in a pink suit meant simply that he might not be a member of the intellectual elite rather than that he was effeminate. Boy or girl. We are every shade, any of a hundred hue. Girl or guy. It’s about just being me and simply you. What matters is not what we wear but being true. But yellow and green, sat in between, violet too. But pink never made it or broke through. Mixed with red, and no wavelength of its own to view. Isn’t it about time to change your world-view?